Americans have always viewed education as our bridge to the future and as the means to create a better society peopled by responsible, productive citizens. For our state truly to succeed and progress, we must improve the education we provide to all Rhode Island children. This task forces us to confront enormous disparities in family background, financial situation, and overall social environment, all of which make the successful education of many of our children very difficult. Highlander Charter School was created to help address this challenge and the results of our work provide strong evidence that we are succeeding. Support Hawks Basketball~Come to a Game! School Open House for Prospective Students and Families! Our Pre-K – 6 “Lower School” program is dedicated to nurturing a passion and curiosity for learning, and laying a strong foundation for future growth for 274 students. With a focus on the fundamentals, our program works to ensure that students are presented with a rich and diverse curriculum that supports mastery of early literacy and math skills. By adapting instruction to match to each individual student’s budding learning style, we create an environment that is both enriching and fun. Our 7 – 12 “Upper School” program offers 360 students exposure to more advanced content in literacy, math, science and the humanities. Located on 42 acres abutting the Palmer River in Warren, there is ample space for hands on learning inside and outdoors. The Upper School program is designed to help students lay a foundation for lifelong learning, creativity, and critical thinking by giving them increasing levels of autonomy. At Highlander Charter School, we embrace student-centered learning. Here, learning is personalized through a competency-based model in order to meet the needs of all our learners. Students get what they need, when they need it, and how they need it, whether it be through whole group instruction, small group instruction, peer-assisted learning, self-directed learning, and/or technology-assisted learning. In this model, students receive instruction at their own academic level in the format(s) that they learn best. This allows students to take ownership of their learning and stay engaged in their academics. Highlander's HOSA (Health Occupation Students of America) will host the school's 3rd blood drive with the RI Blood Center on Friday, September 14th in Warren. All staff, as well as students age 16 and up, are invited to participate if they meet the requirements for weight and other screenings done at the drive. Details coming soon! Highlander Holds Its 2nd High School Graduation! 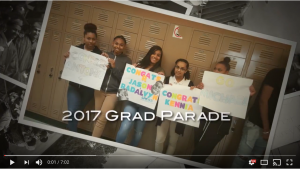 On June 8th, 32 students crossed the stage to receive high school diplomas. All of them had a solid post high school plan in place, and the vast majority will be going on to college. Congratulations to all graduates, their teachers and their families for supporting them in their journey! Pete Deal Highlander Golf Classic was a Huge Success! On May 21st, Pete's friends, family and Highlander supporters golfed to raise over $100,000 to establish a scholarship endowment fund in his name. Each year in perpetuity, 2 graduating seniors who embody Pete's spirit of philanthropy and volunteerism will be awarded a Pete Deal Scholarship. The Pete Deal Highlander Golf Classic will be held on Friday, May 31, 2019. 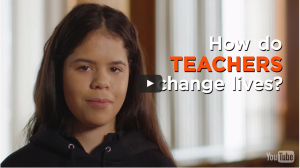 How Do Teachers Change Lives?